Josh Townsend has trained cutting horses at Main River Quarter Horses in Gainesville, Texas since 2002. He began his cutting career in 1998 working with legendary cutting horse trainer Bill Freeman for 4 years, and then started his own training program. Josh trains and shows open quality horses. He works with non-pros and amateurs to enhance their showmanship and riding experience in the show pen as well. Josh has lifetime NCHA earnings of over $520,000. 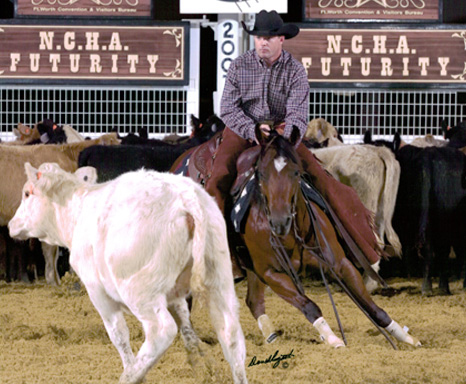 He has been a finalist many times in limited aged events in the NCHA as well as in the AQHA World Shows. He often has horses for sale of various ages and abilities, and can locate horses for customers that would best fit their interests, abilities, and preferences.